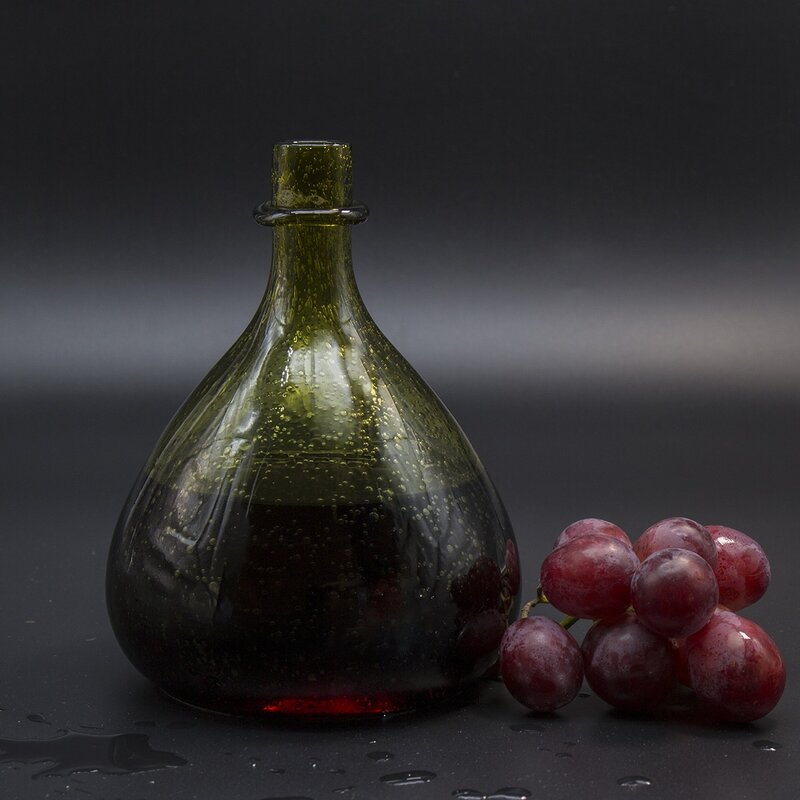 An older round-shaped free-formed wine bottle. 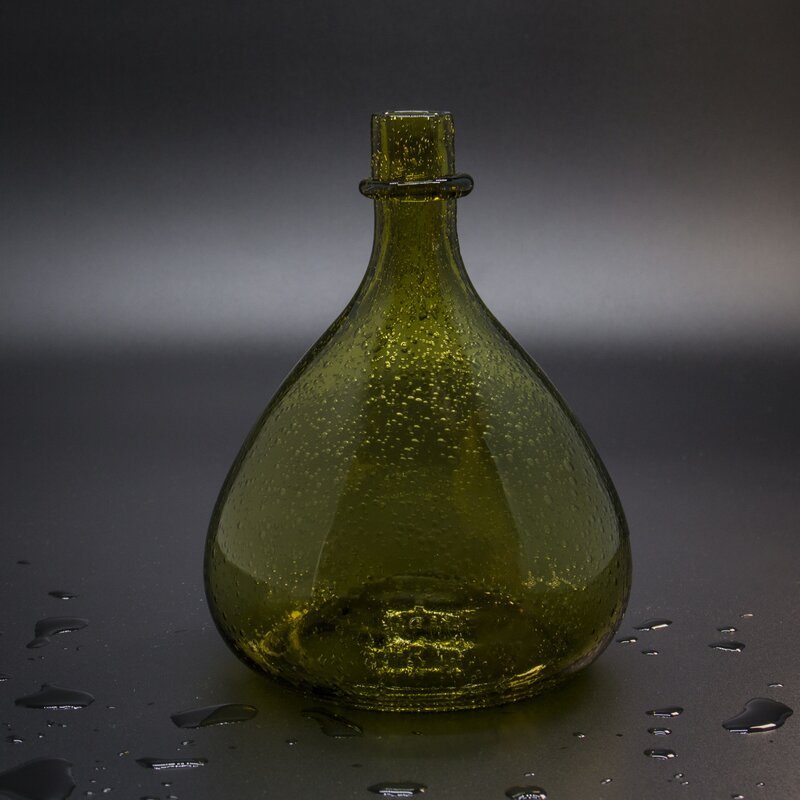 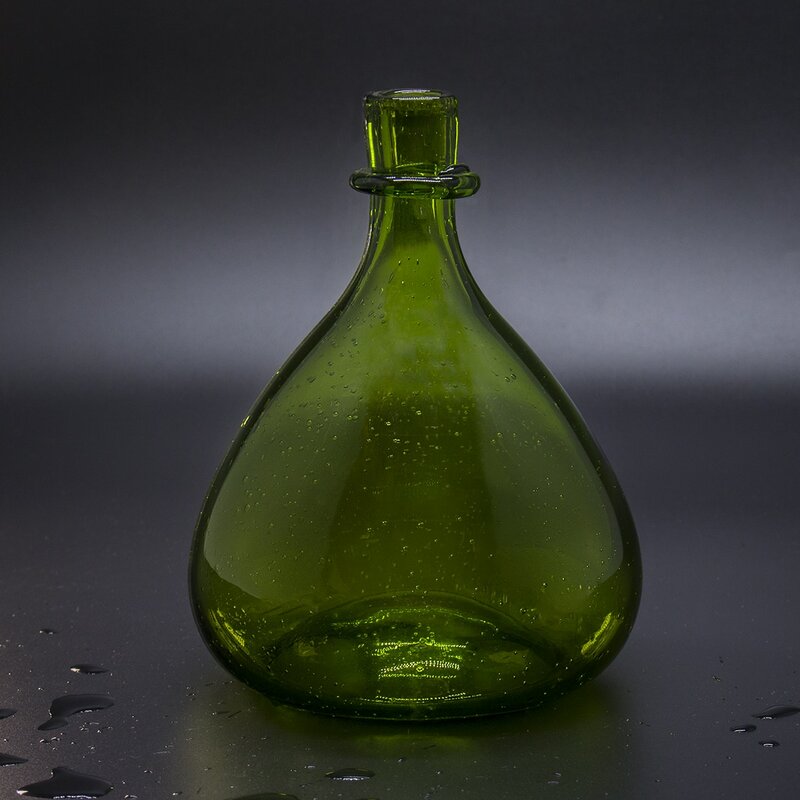 The neck of this bottle was often crooked, often by intent. This one fits a little over a litre of your chosen drink.